Just as I suspected. 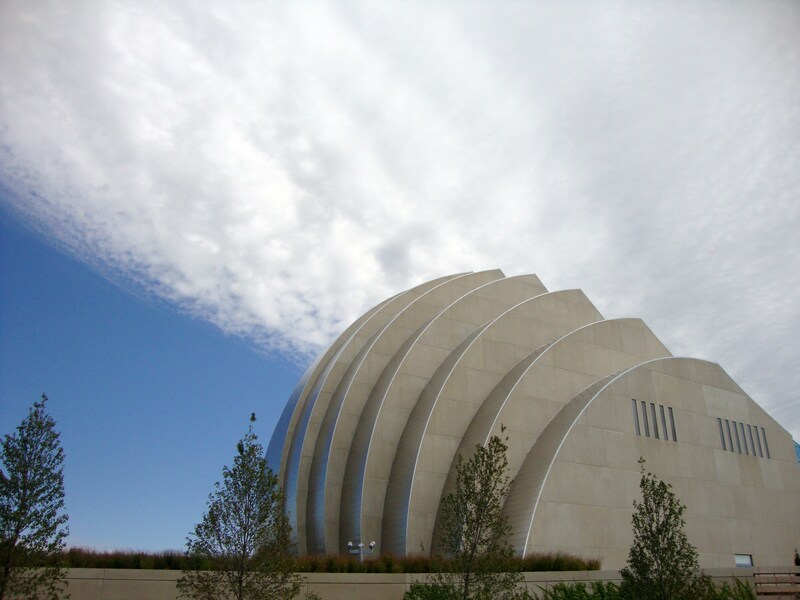 I’d been mulling over the idea of trying the public transportation option while preparing for a trip to my hometown and the just opened Kauffman Center, home of the Kansas City Symphony, Lyric Opera and Kansas City Ballet. Official info, and advance stories in the local press, played up the ease with which visitors can access the facility: 1,000 spots in the underground parking garage hidden from view under a landscaped green space; two drop-off locations on either side of the facility; valet parking at the main entrance; an escalator that delivers patrons directly from the garage into the atrium, without ever having to brave the weather. The parking garage even boasts its own artwork, Terpsichore for Kansas City, with a light organ and music composed specifically for the site. All understandable in a city, like most others across the country, where driving is the primary mode of transportation, and where encouraging people to come downtown for a concert means assuring them that ready and safe parking will be available. Time after time, in reporting on concert halls and performing arts centers from Dallas to Dayton, management has spoken of how difficult it is to convince locals, comfortably ensconced in suburban homes, to venture downtown for evening performances. It’s an ongoing problem, since most major performing arts groups make their homes in urban locations. But this city dweller gave up her car 20 years ago, when she moved to New York. And she’s not missed it one day since—not the parking hassles, not the insurance premiums, not the traffic jams or the repairs. How do I get to Carnegie Hall? By the R train, which stops right underneath. One of the joys of being on the East Coast is that just how far afield I can travel by subway, bus and train. So being a true believer in public transit, I decided to test the waters and see if it was possible not to drive to the Kauffman Center when I visited for the opening of the Kansas City Symphony’s season. 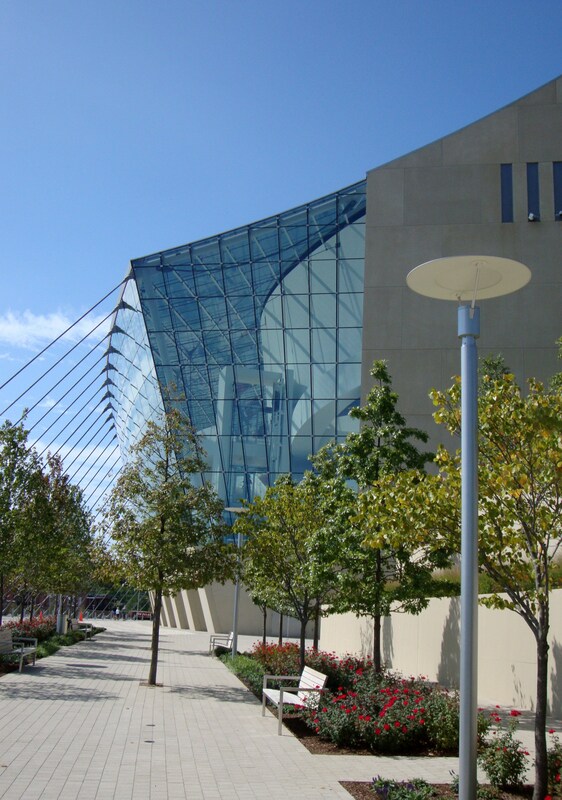 The scheme wasn’t quite so radical, since I was staying with my brother, who lives well within the Kansas City limits, about eight miles due south of the Kauffman Center’s downtown location. His house is a few blocks from the major intersection where a bus going that direction stops. It arrived right on time, picking up a variety of characters, good and bad, along the way—past the gentrified Brookside neighborhood, through the mini-Seville of the Country Club Plaza and past the Crown Center complex (where Hallmark Cards has its headquarters) delivering me right across the street from the Kauffman Center, at a newly installed stop that features a shelter, route maps and video display of arrival times. The cost: $1.50 each way vs. $7 for parking. Duration of trip: 45 minutes vs. about 25 minutes by car. The bus was full by the time we reached the Kauffman Center, but only one other couple got off there. Actually, I was surprised that anyone did. Skepticism and distrust of public transportation abounds in Kansas City, as it does in most places. Not without reason. In truth, the city’s bus system, it’s only form of transit, is not extensive enough to reliably carry people back and forth from the sprawling suburbs. Things are changing, somewhat. The bus I rode is called The Max (Metro Area Express) a BRT (bus rapid transit) line similar to those that have sprung up in other cities to service heavily trafficked or redeveloped areas. The neighbors later said they’ve used it for evening excursions, as an inexpensive alternative to parking fees and not having to worry about having a designated driver when they head out for a night at the new downtown arena, restaurants, or The Crossroads arts district. The Kauffman’s opening has also sparked a renewed call for a light rail system, an idea that’s been voted down numerous times. Will it change anyone’s opinion that the bus is not the classiest way to go to the symphony or ballet? Probably not. But yes, Chicken Little, there is an option.